A 26-year-old female presents with a whitish coating on her tongue and lips. When you attempt to rub the plaque with a tongue depressor, a small amount of bleeding is noted from the oral mucosa. Her past medical history includes asthma. What diagnostic test would you perform to confirm your diagnosis? A gram stain is used to identify whether a bacterial pathogen is gram positive or gram negative. The history and physical are consistent with oral thrush. A wet mount potassium hydroxide preparation will reveal fungal spores and nonseptated mycelia. A 63-year-old male presents with an asymptomatic lesion in his mouth that was discovered by his dentist at a check-up. It is ill marginated with pigment ranging from medium brown to black. Parts of the lesion are raised. What is the next appropriate step in management? Have the patient return in 30 days to see if the lesion resolves on its own. Given the patient's age and suspicious nature of this lesion, waiting would be ill-advised. This is always a good choice if you are not sure what should be done in this instance. But on the boards, there is no such luck! Oropharyngeal melanoma is characterized by varying pigment occurring in an irregularly shaped lesion. Although this is a rarely occur in melanoma, a biopsy should be done and any pigmented oral lesion should be excised. Areas which are raised within the lesion usually indicate sites of invasion. A 60-year-old male presents with complaints of irritation and a white plaque on his tongue. He denies pain. During physical exam you are unable to remove the white plaque from the mucosa with a tongue depressor. What is the most likely diagnosis, represented as follows? Geographic tongue is an asymptomatic serpiginous area of atrophy and erythema of the anterior tongue. The condition is self-limiting. Lichen planus can mimic candidiasis, squamous cell carcinoma, or hyperkeratosis, and requires a biopsy to diagnose. Oral leukoplakia cannot be removed from the mucosa using a tongue depressor like oral thrush can. It is considered a premalignant lesion and the chance of transformation into oral squamous cell carcinoma is 0-20%. The vast majority will not turn malignant. The condition is more common in smokers and people should be advised to stop smoking and limit alcohol consumption to reduce their risk. Management usually involves regular review of the lesion to detect any possible malignant change early, and thereby significantly improve the prognosis, which normally is relatively poor for OSCC. A 45-year-old male presents with purulent discharge from his right ear for three weeks. He states that despite being treated by his family doctor for an ear infection one month ago, the problem continues to get worse. Upon exam, you note purulent discharge in the ear canal, an erythemic tympanic membrane, and a possible perforation. What are the pathogens most likely to culture positive? Strep pneumoniae is often seen in acute otitis media. E.coli is a urinary tract pathogen. mycoplasma is a respiratory pathogen. The clinical vignette describes a chronic otitis media. Usually, this refers to a complication of acute otits media with perforation. Pathogens that culture from these infections are usually pseudomonas, proteus, or staphylococcus aureus. A 38-year-old woman comes to your office with a 1-year history of episodic dizziness, ringing in both ears, a feeling of aural fullness, and hearing loss. The symptoms come on every 1 or 2 weeks and usually last for 12 hours. Nausea and vomiting are present. When asked to describe the dizziness, the patient says, “The world is spinning around me.” On physical examination, the patient has horizontal nystagmus. The slow phase of the nystagmus is to the left, and the rapid phase is to the right. Audiograms reveal bilateral sensorineural hearing loss in the low frequencies. What is the most likely diagnosis in this patient? This patient has Meniere disease. The classic features of Meniere disease are recurrent episodes of vertigo, fluctuating low-frequency sensorineural hearing loss, tinnitus (ringing or buzzing in the ears), and aural fullness in the affected ear. The vertigo typically lasts hours, not minutes or days. The fluctuating hearing may not be related temporally to the vertigo. For the diagnosis of Meniere disease, the characteristic pattern of vertigo lasting a matter of hours as well as sensorineural hearing loss must be present. One additional factor (aural fullness or buzzing tinnitus) should also be present. Your patient is a 64-year-old male was found to have an opacity on his lens and decreased visual acuity. Which of the following is the most likely diagnosis? Glaucoma is characterized by elevated intraocular pressures. Astigmatism is a defect in the cornea. Hyphema is an accumulation of blood in the anterior chamber. A cataract is a defect in the lens. Cataracts are the leading cause of blindness in the world. The only treatment is surgical correction. Your patient is a 23-year-old female who is a contact lens wearer. 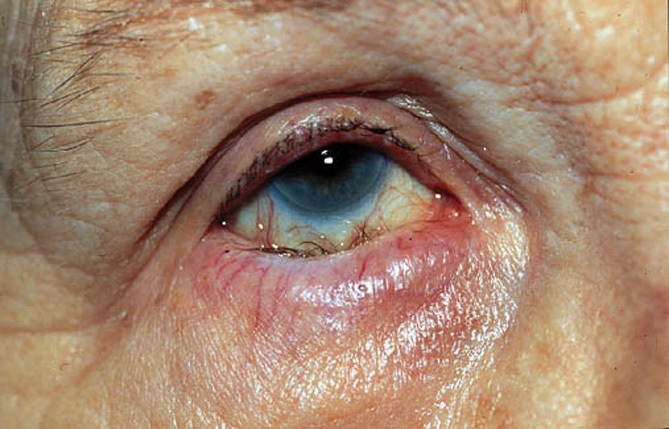 She presents with an injected right conjunctiva. She has no foreign body sensation or photophobia. There is no uptake of the stain and slit lamp exam is otherwise normal. Which eye drops are the most ideal for this patient. Contact lens wearers are prone to getting bacterial infections especially pseudomonas of the eye. Ciloxan has the best pseudomonas coverage. Your patient is a 34-year-old male that has had maxillary sinus pressure and purulent drainage for 3 weeks. The patient has had a history of anaphylaxis with penicillin. Which of the following is the most appropriate antibiotic choice? Both Augmentin and Amoxicillin are both penicillins. Cephalexin is a cephalosporin that can have a 10 percent cross-reactivity with penicillin-allergic patients. Given this patient's history of anaphylaxis it would be best to avoid this. Your patient is a 64-year-old female that presents with gradual onset of peripheral bilateral vision loss over the last year. Which of the following is the most likely diagnosis is the most likely diagnose? Strabismus is a misalignment of the eyes. Optic Neuritis and macular degeneration both cause central vision loss. Open angle glaucoma is an optic neuropathy that has a progressive peripheral visual field loss and is eventually followed by central visual loss. Your patient is a 54 year old male that presents with a runny nose and cough. The patent is also complaining of vertigo, tinnitus, and right sided hearing loss. Which of the following is the most likely diagnosis? There is no hearing loss associated with acute vestibular neuritis. Cerumen impaction will not cause tinnitus typically and usually does not have a viral syndrome associated with it. BPPC has recurrent episodes of vertigo associated with predictable head movements. Both vestibular neuritis and labyrinthitis have vertigo with usually a viral syndrome proceeding it. The key characteristic is there is no hearing loss associated with acute vestibular neuritis. Which of the following have not been identified as a risk factor for barotrauma to the tympanic membrane? Diving, flying, and blast injuries are identified as circumstances predisposing patients to barotrauma. Barotrauma is caused by pressure difference between the outside world and the inside of the middle ear. Allergic rhinitis can cause eustachian tube dysfunction but usually does not cause barotrauma. There usually is significant pressure difference between the middle ear and the outside world when the patient is exposed to pressure differences of diving, flying or blast injuries. Which of the following areas is the most common site for epistaxis to occur? The tributaries of the internal carotid artery do supply blood to the posterior nasopharynx and can be the source of some arterial bleeds. Stensen's Plexus does not exist in the nasal cavity, it is a duct that drains the parotid glands into the oral cavity. Ninety percent of nose bleeds arising from Kiesselbach's Plexus. All of the following are causes of otitis externa except? Trauma, infection, and allergic contact dermatitis can cause otitis externa. Cerumen impaction in and of itself is not an etiologic factor of otitis externa. Aggressive cleaning abrading the external auditory canal can. Which of the following is the most common organism causing mastoiditis? Streptococcus pneumoniae is the most common organism that causes mastoiditis. Mastoiditis is the most common suppurative complication of otitis media. Pseudomonas is another consideration especially on recurrent infections with a ruptured tympanic membrane. Your patient is a 23 year old female that presents with swelling and erythema to the upper eyelid on her right eye. Her extra ocular movements are intact. There is no pain with extra ocular movements. She also has a history of Rosacea. Which of the following is the most likely diagnosis? Hordeolum (stye) is a painful red lump on the eyelid when the gland on the edge of the eyelid gets inflamed. Chalazion is an inflammatory lesion that develops with meibomian glands becomes obstructed. Dacrocystitis is caused by the nasolacriminal gland being blocked. Blepharitis is characterized by swelling of the eyelid. Blepharitis is best treated with warm compresses and topical antibiotics such as bacitracin, erythromycin, or azithromycin. Papilledema can be caused by brain tumors, increased CSF production, decreased CSF reabsorption and obstructive hydrocephalus. Parkinson's is characterized by a decreased production of Dopamine from the Substantia Nigra of the brain. Parkinson's does not lead to increased intracranial pressure. Your patient is a 54 year-old male that presents with headaches, decreased hearing out of the right ear, right side facial paresthesias. The MRI of brain reveals a 2 x 3 cm right sided acoustic neuroma. Which of the following is not true regarding acoustic neuromas? Treatment management options for acoustic neuroma include surgery, radiation, and observation. Larger tumors can cause compression of adjacent structures which lead to facial and trigeminal nerve pain, and paresthesias. Because these nerves innervate the tongue they can affect taste. Your patient is a 45 year old male that presents with episodic vertigo, hearing loss, and tinnitus over the last year. His Brain MRI was unremarkable. He has had no preceding viral syndrome. Which of the following is the most likely diagnosis? Vestibular neuritis does not have any ear symptoms nor does Benign Postural Peripheral Vertigo. Labyrinthitis has similar symptoms but do not last as long and has a preceding viral infection. Meniere's disease is characterized by episodic vertigo, hearing loss and tinnitus. A 54 year old male presents with fever, trismus, dysphagia, and a sore throat. Which of the following is the most likely diagnosis? Peritonsillar abscess present with trismus, fever, sore throat and hot potato voice. Peritonsillar abscess are typicaly caused by Group A Strep. They can compromise the upper airway. Empiric treatment is with Unasyn or Clindamycin. Ultimate treatment is incision and drainage. Which of the following is the most common cause for hearing loss? Presbycusis is age-related hearing loss. Vestibular Neuritis does not have hearing loss. Your patient is a 63 year old female that has a history of HTN and CAD. She has had a 3 month history of recurrent episodes of vertigo. These episodes tend to occur when she lays back in bed with her head not propped up. Her ENT exam is unremarkable. She has had an MRI of her brain that was negative as well as carotid dopplers. Which of the following is the most likely diagnosis? Cerebellar infarct is ruled out because of the negative MRI. Benign Paroxysmal Positional Vertigo tends to have brief recurrent episodes of vertigo with predictable head movements or positions. There is no auditory symptoms. BPPV usually has a positive Hallpike Maneuver. Your patient is a 72 year-old female that presents with recurrent nose bleeds of right nostril and has right sided cervical lymphadenopathy. She is not on any anticoagulants. 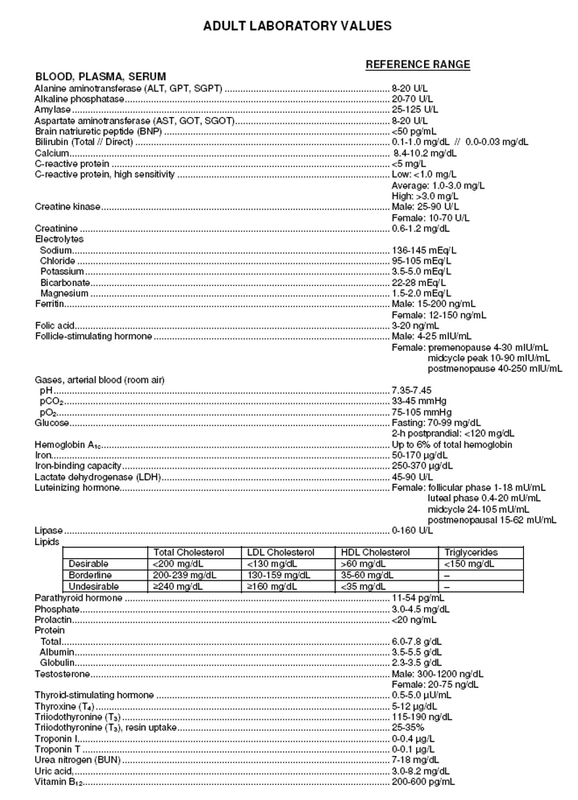 Her labs including INR, CBC and PTT are normal. Which of the following is the most likely diagnosis? The patients labs are normal so blood dyscrasias and thrombocytopenia is not likely. While AV malformation is a plausible explanation, the fact there is some right sided lymphadenopathy with recurrent nosebleeds should raise the suspicion for malignancy. Which of the following disorders is characterized by a "thumb sign" on a soft tissue neck x-ray? Laryngitis and foreign bodies do not have any characteristic signs on soft tissue neck x-rays. Croup has a steeple sign. Epiglottitis is characterized by a thumb sign. Your patient is a 23 year old female that presents with white plaques on tongue. She has no history of chemotherapy, dentures, oral inhaled glucocorticoids, or radiation therapy. She is not a diabetic. Which of the following is the most likely etiology of her symptoms? Smokeless tobacco is a risk factor for leukoplakia. Aphthous ulcers produce ulcers not white plaques. Whenever there is unexplained thrush is a healthy individual, HIV should be considered as an etiology. Hordeolum are styes that are painful. To differentiate a hordeolum from a chalazion think "H" for "HOT", tender and painful. Dacryocystitis is an infection of the lacrimal sac, secondary to obstruction of the nasolacrimal duct at the junction of lacrimal sac. The term derives from the Greek dákryon (tear), cysta (sac), and -itis (inflammation). It causes pain, redness, and swelling over the inner aspect of the lower eyelid and epiphora. A chalazion is an inflammatory lesion that developed when the meibomian tear gland becomes obstructed. They are usually not painful. Treatment is warm compresses or surgical correction. Your patient is a 21 year-old male that presents with redness to right eye, photophobia, and tearing. Your patient intraocular pressure is 18 (normal 12-22 mm Hg). Slit lamp exam and staining are normal. The patient is not a contact lens wearer. When the patient was anesthetized with alacaine he still has pain. Which of the following is the most likely diagnosis? The patient has normal intraocular pressures so glaucoma is not likely. Iritis presents as a red eye, photophobia, and tearing. Iritis is often not improved when the eyes are anesthetized with alacaine. A common treatment is eye drops that ease the inflammation. If uveitis is a result of an infection, antibiotics or antiviral medication may be prescribed. Your patient is a 34 year-old male that presents with right eye pain, photophobia, and a scratch of the cornea with staining. There was no hyphema. Which of the following is not part of the treatment of this condition? Gentamicin eye drops or any eyedrops help with preventing infection and lubricate the eye. Wearing sunglasses and oral analgesics help with the pain associated with corneal abrasions. Your patient is a 68 year-old female that presents with several months of progressively worsening central vision loss. 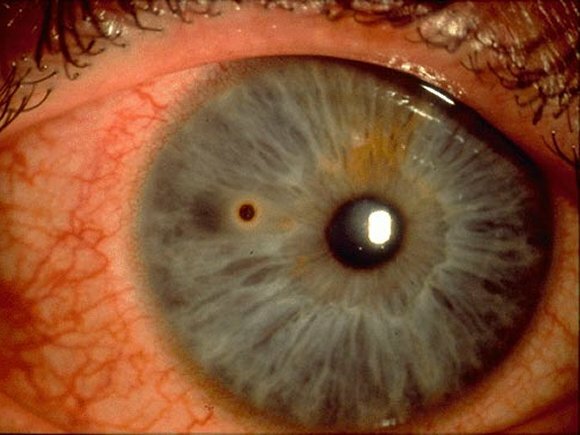 Physical exam reveals Drusen Spots of the eye. Which of the following is the most likely diagnosis? Open-angle glaucoma typically causes peripheral vision loss. Optic neuritis is more of an acute onset. Cataracts do not have a Drusen Spots. Macular degeneration causes central vision loss and can have Drusen Spots. Your patient is a 34 year-old male who presents with erythema and swelling to the upper right medial nasolacrimal duct. He has no fever. His extraocular movements are intact. He has no ectropion. Which of the following is the most likely diagnosis? Periorbital cellulitis is an infection of the anterior portion of the eyelid. Dacryocystitis is caused by the nasolacrimal duct being blocked. The most common organism is alpha hemolytic strep, staph epidermis, and staph aureus. Empiric therapy with clindamycin and doxycycline or Bactrim is helpful. This can lead to periorbital cellulitis. Your patient is a 3 year-old male that presents with a bulging right tympanic membrane and a fever of 103.0. He has just finished a course of amoxicillin 14 days ago. Which of the following is the most appropriate treatment? This patient is at risk for beta-lactam resistance, therefore Keflex and amoxicillin should not be used. The patient is only 3, and Cipro should be avoided in this age group. Augmentin is the correct answer as this patient is at risk for beta-lactam resistance. Which of the following is the most appropriate management for an auricular hematoma? Observation, antibiotics, and icing, together or alone are not effective. Ice for 20 minutes 4 times per day. 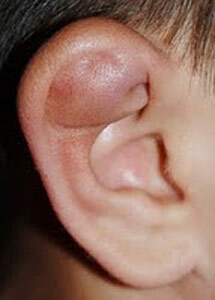 Auricular hematomas should be drained as soon as possible. Delay in treatment can lead to a cauliflower ear that is permanent deformity of the fibrocartilage of the ear that is an overgrowth. Which of the following is not an etiology of tinnitus? ASA, vascular problems, congenital AV malformations, hearing loss, Eustachian tube dysfunction, and ototoxic medications are etiologies for tinnitus. Cerumen impaction is not an etiology of tinnitus. Your patient is an 18 year-old female that presents with right side purulent otorrhea. Visualized tympanic membrane on the right side reveals a small perforation. Which of the following is the most appropriate treatment regimen? Which of the following bacteria is not a possible cause of bacterial tonsillitis? All of the following are possible causes of bacterial tonsillitis: Group A Streptococcus, Neisseria Gonorrhea, Mycoplasma, Chlamydia, Tularemia, and Group C and Group G Strep. Group C and Group G Strep do not cause rheumatic fever. Viral etiologies include CMV, HSV, Mononucleosis, and Influenza. Which of the following conditions are not associated with allergic rhinitis? Atopic Dermatitis, sinusitis, and asthma are common diseases seen with allergic rhinitis. In additional allergic conjunctivitis is commonly seen with allergic rhinitis. Urticaria does not have an association with allergic rhinitis. In the treatment of epiglottitis racemic epinephrine can help momentarily, but ultimately the patient needs to be intubated and admitted to the hospital. Airway protection is the mainstay of treatment. The patient usually needs to be intubated for 2-3 days prior to weaning attempts. The role of steroids is controversial. Vancomycin helps with anti-staph coverage and Ceftriaxone covers the most common organism haemophilus influenza type B. Anesthesia and/ or ENT should be consulted for airway management. Which of the following is not true about peritonsillar abscess? CT scan of soft tissue of the neck with IV contrast is the imaging study of choice.Group A Streptococcus is the most common organism. There are also so cases of staph. Appropriate empiric antibiotic therapy includes Clindamycin and Unasyn. Vancomycin is an appropriate add-on antibiotic when there are airway issues. All of the following are potential etiologies for parotitis except? Potential etiologies of parotitis include: anything that obstructs Stensen's Duct (Stone or Tumor), poor oral hygiene, dehydration, retrograde salivary stasis and seeding of Stensen's Duct with oral flora, viruses, or staphylococcus aureus. Your patient is 54 year old immunocompetent male that presents with right sided parotitis, trismus, and a fever of 101.6. Which of the following antibiotic regimens are most appropriate? Empiric therapy for parotitis involves nafcillin and metronidazole. Vancomycin and cefepime or imipenem is recommend for immunocompromised patients. Azithromycin does not cover staph. Your patient is a 54 year old male that presents with erythema and redness to the right submandibular area. There is no pain to palpation over the floor of the mouth. Physical exam of the mouth reveals pus covering from the salivary duct. There is no dental pain or trismus. Which of the following is not true regarding the patient's condition? The usual organism when involved is staph. 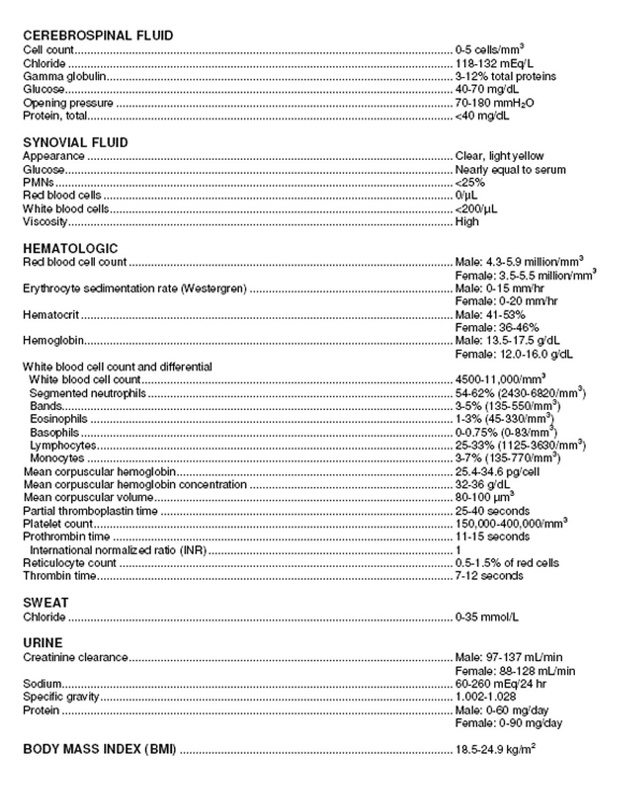 This is generally sensitive to dicloxacillin or Keflex. Usually resolves itself within 7-10 days with antibiotic treatment. The imaging modality of choice for sialadenitis is a CT scan of soft tissue neck with IV contrast. 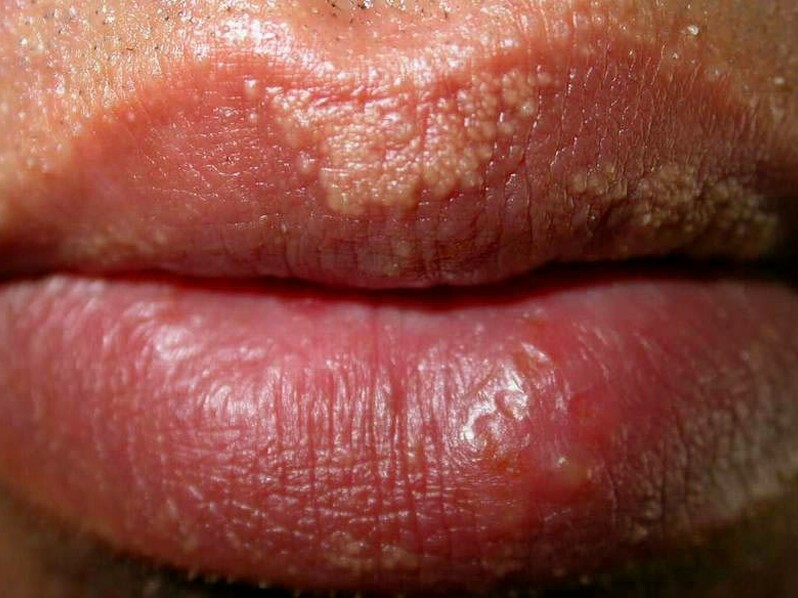 Your patient is a 65 year old male that presents with Fordyce spots noted in his oral cavity. What is the likely etiology of these? A mucocele is a fluid-filled cavity with mucous glands lining the epithelium. Melanomas are oral pigmented lesions that have irregular borders and symmetry. Amalgam tattoos are black macules seen near the gingiva of dental fillings. Fordyce spots are associated with benign sebaceous cyst tumors. Which of the following is not true regarding entropion? Artificial tears help with dryness and surgical treatment is needed to correct. Trachoma infection can be a cause but is rarely seen in the US. Entropion usually affects the lower eyelid. Your patient is a 46 year-old male that presents with a piece of metal on cornea with a rust ring that is approximately twelve hours old. Which of the following is not an acceptable method to attempt removal? A 25 gauge needle is an acceptable method for removal. A cotton swab is an acceptable methods for removal. An ophthoburr is an acceptable method for removal. Magnets are not safe for removal metal foreign bodies from the eye. Your patient is 64 year old female that presents with sudden onset of right eye pain, redness, and photophobia with tearing. Slit lamp exam reveals some conjunctival erythema and a shallow anterior chamber. There is no ciliary flair. The intraocular pressure is 44 in the right eye. All of the following are acceptable management options except? This patient should be referred to ophthalmology. This patient has acute closure glaucoma. Installation of a cycloplegic can increase the pressure and make the patient worse. A cycloplegic drop causes paralysis of the ciliary muscle of the eye, resulting in a loss of accommodation and flexibility. Your patient is a 45 year old female that presents with a sudden onset of visual loss in the left eye. 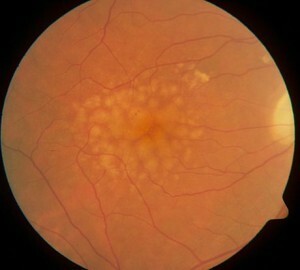 Funduscopic exam reveals hyperemia and swelling and blurring of the optic disc. There is no history of headache. The patient's other eye is normal. The patient describes a scotoma in the central vision of his affected eye. Based upon this data, which of the following is the most likely diagnosis? Ophthalmic migraine usually has headaches with it and will not have any optic disc changes on exam. Retinal detachment does not have these visual field changes and will not have these optic disc changes on physical exam. Pseudotumor cerebri usually affects both eyes and is accompanied with a headache. Ophthalmic migraine usually has headaches with it and will not have any optic disc changes on exam. Retinal detachment does not have these visual field changes and will not have these optic disc changes on physical exam. Your patient is a 69 year old female that presents with a sudden onset of floaters in the right eye, flashes of light, and floaters resemble a cobweb. There is no pain. Which of the following is the most likely diagnosis? Pseudotumor cerebri typically affects both eyes and will have a headache. Macular degeneration is more of a slower onset and does not have these visual field changes typically. This is a common presentation of retinal detachment. A 23-year-old woman comes to your office with a 6-month history of dizziness. She “feels dizzy” when she stands up (as if she is going to faint). The sensation disappears within a minute. She has a history of major depression. She started taking doxepin 6 months ago, and her depression has improved much since that time. The patient’s blood pressure is 140/ 90 mm Hg sitting and decreases to 90/ 70 mm Hg when she stands. There is no ataxia, nystagmus, or other symptoms. What is the most likely diagnosis in this patient? d.This patient has orthostatic hypotension. This case illustrates the importance of obtaining an accurate history in the patient who complains of “feeling dizzy.” In any patient who has this complaint, it is important to ask four specific questions: (1) Can you describe your dizziness? (2) How much of the dizziness is a sensation of the “world spinning around you,” and how much would be a sensation of “things going black in front of you and a feeling that you’re about to pass out”? (3) How long does the feeling of dizziness last— seconds, minutes, or hours? and (4) Are there any other symptoms present when you feel dizzy, such as deafness, ear fullness, or ringing in the ears? The answers to these questions are the most important clues to leading you toward a diagnosis. This patient does not have clear symptoms of vertigo, and one should focus on non– vertigo-related dizziness. Orthostatic hypotension is typically initiated after standing up suddenly. There is a transient lack of cerebral blood flow. The feeling described is that of a subjective dizziness, and the patient feels as if he or she might faint. It is not associated with any other neurologic sensations or ear symptoms. It is also characterized by a lack of symptoms when sitting or lying. Medications are the most likely culprits in this scenario, but occasionally there is no clear etiology for the autonomic disturbance. In this clinical case problem, the orthostatic hypotension is almost certainly associated with the beginning of the tricyclic antidepressant therapy 6 months ago. A 30-year-old man comes to your office for assessment of dizziness. The dizziness occurs when he rolls over from the lying position to either the left side or the right side. It also occurs when he is looking up. He describes a sensation of “the world spinning around” him. The episodes usually last 10 to 15 seconds. They have been occurring for the past 6 months and occur on average one or two times per day. This patient has positional paroxysmal vertigo (PPV), a disorder that consists of brief episodes (lasting 2 to 10 seconds) usually caused by turning the head. PPV is caused by the formation of crystalline debris in the semicircular canals that leads to labyrinthine irritation, causing vertigo and nystagmus. A 39-year-old woman comes to your office with a 2-day history of “unrelenting dizziness.” The room feels like it is spinning, and there is associated nausea and vomiting. There has been no hearing loss, tinnitus, or sensation of aural fullness. The patient has just recovered from an upper respiratory tract infection. The patient is afebrile. On examination, nystagmus is present. The slow phase of the nystagmus is toward the left, and the rapid phase of the nystagmus is toward the right. There is a significant ataxia present. The features of acute labyrinthitis are similar to those of vestibular neuronitis, except it includes significant sensorineural hearing loss. This patient has a left vestibular neuronitis. The etiology of this disorder is commonly associated with a viral infection (such as adenovirus) that follows a respiratory tract infection and involves some portion of the vestibular system but with total sparing of the cochlear area. It most commonly affects young or middle-aged adults. The disorder consists of severe vertigo with associated ataxia and nausea and vomiting. There is no hearing loss, aural pain, or other symptoms, which is helpful in distinguishing it from other causes of vertigo. Recovery usually takes 1 or 2 weeks. The treatment of choice for a patient with vestibular neuronitis is rest, reassurance, and antiemetics. A 37-year-old woman comes to your office for assessment of hearing loss. She has had problems intermittently for the past 12 months. On examination, the Weber tuning fork test lateralizes to the right ear, and the Rinne tuning fork test is negative in the right ear (bone conduction is greater than air conduction [BC > AC]). This suggests which of the following? The characterization of hearing loss can be localized by a combination of the Weber test and the Rinne test. In the Weber test, placement of a 512-Hz tuning fork on the skull in the midline or on the teeth stimulates both cochleae simultaneously. If the patient has a conductive hearing loss in one ear, the sound will be perceived loudest in the affected ear (i.e., it will lateralize). When a unilateral sensorineural hearing loss is present, the tone is heard in the unaffected ear. The Rinne test compares air conduction with bone conduction. Normally, AC is greater than BC. Sound stimulation by air in front of the pinna is normally perceived twice as long as sound placed on the mastoid process (AC > BC). With conductive hearing loss, the duration of AC is less than BC (i.e., negative Rinne test result). In the presence of sensorineural hearing loss, the durations of both AC and BC are reduced; however, the 2: 1 ratio remains the same (i.e., a positive Rinne test result). Facts for this question: (1) Bone conduction is greater than air conduction. This indicates that this is a conductive hearing loss. (2) In conductive hearing loss, the Weber test lateralizes to the affected ear, and because the Weber test lateralized to the right ear in this patient, she has a unilateral right-sided conductive hearing loss.